The days when operational information, or even structural or facilities data, left your business with staff turnover are long gone, as Matt Sandvold explained to Casino International. JBA 360 is functional from the building stage right through to operations and could make operations considerably easier over the lifespan of a property. 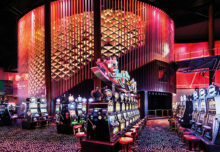 Casino International: Explain the merits of JBA 360 please… What is it and why was it developed? Matt Sandvold: JBA Consulting Engineers has been doing MEP [mechanical, electrical, plumbing design) work for large properties, predominantly in the casino market, for 50 years. Working with a lot of those large casinos, we have heard from facilities managers that these properties are so large, they never have the content they need when they are on-property. 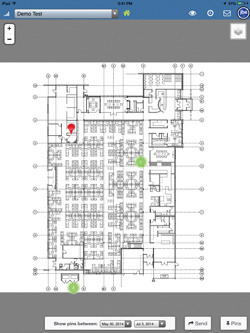 So we have developed a product that is mobile; they are already working with floor plans and everything else, this allows them to put their floor plan in a digital format so they can zoom in using a tablet, for example, and use intelligent pin technology to drop pins on the document so all relevant documentation for that place on the site can be accessed easily. Almost anything in your file cabinet can be digitally uploaded so you can access all of it while you are on-property. It becomes an efficient communications tool while on site, rather than having to collect the data, take it back to the office and duplicate it again in emails and the like to the rest of the team on the facilities side. CI: So JBA 360 is not just about communicating, it’s about sharing information in a dynamic and layered way? MS: Yes, in a way. There are twofold benefits to a particular property. One, obviously is the communication and information tracking for facility people; say you have a number of shifts working at any given time and I’m working on a pump at the pool, and I get part way through. Rather than having to stay until the next shift begins and explain where I am with it, I have the tools to take a picture, write a document and make it a PDF so I can write my own notes in there, I have reminder capabilities so I can send reminders to people on other teams – and the next person that comes in can click on that pin I have created on the floor plan and bring it up, and see exactly what I was doing. It’s the same if I needed to send a new facility person on site. I can say, here are the red pins, go and deal with those please – you can assign tasks based on priorities. They know where to find what they need to work on, and using the pins all the information they need is available. The work can be documented using the tool, any documentation in terms of drawings, also ordering parts online can all be accessed within JBA 360, and enjoyed while you are on site. Secondly, in the future you might want to access information about any part of a building project. We were hearing from clients that information you can access about, for example, cabling, is only as good as the last three facility managers. Nobody has drawings, nobody has documentation. It may be in somebody’s head, but with staff turnover that knowledge leaves with them. JBA 360 allows you to retain that information, that tribal knowledge of everything that took place in their property. You can ask the software to give you historical information, to see, say, pins created between August and November 2008 and from there I can see what work was done, where and by whom. In this respect JBA 360 is invaluable. MS: We are also tying in with some different third-parties that do call ticket systems, so in terms of day-to-day operations on the maintenance side you could have tickets created saying, ‘guest in 303 needs new towels’, but it could also be, ‘there’s a leak in the sink in room 400’; combine that with JBA 360 and as your team is moving around the property and doing those repairs, they can note, take pictures of what they’re doing, and close the tickets from our application and it ties in to the third party software. Say they are then leaving a job and somebody stops them and raises an issue, they can also raise a ticket themselves; the two software applications work together for maximum efficiency. CI: In terms of hardware, what is required for this? MS: It’s all Cloud-based, so it runs from a SQL server and we have set it up so we can provide that and users just pay for bandwidth storage or usage when they use it, or for a larger property that wants maximum privacy, they will want their own server behind their firewall. We can set that up too. It’s all designed on iOS, so iPads are ideal, but we are all ready to roll out Android and Microsoft platforms too. MS: What we have found as we have talked to different hoteliers is that there is software and applications available for the commissioning period, which would be relevant to a new build or refurbishment. And there are some asset management tools available for when you move into the operations side of things, such as items in the kitchen for example. But there is no software that will take you from that build or renovation stage and roll directly in to operations and let you continue forward with that. We can do either or both; it can work as a punch list, you set tasks for your contractor on a Friday night using the pin system, the contractor works those tickets and changes the pins to green, and can see what has or hasn’t been done without walking through the property, and knows who has done which tasks and who he needs to speak with. Fast forward to operations and that history carries through, the operations people can see what work was done during that time and use that going forward. The application is all rights-managed, so if I have an ownership group that has ten different properties, the facilities people at those properties will only be able to see their own individual properties but the owners will have access to all of their properties and can manage the whole portfolio. You can easily and quickly see what you need pertaining to your role in the organisation.